Pieta A loan shark is forced to reconsider his violent lifestyle after the arrival of a mysterious woman claiming to be his long-lost mother. Black Rock Three childhood friends set aside their personal issues and reunite for a girls’ weekend on a remote island off the coast of Maine. One wrong move turns their weekend getaway into a deadly fight for survival. Smashed A married couple whose bond is built on a mutual love of alcohol gets their relationship put to the test when the wife decides to get sober. The Pact As a woman struggles to come to grips with her past in the wake of her mother's death and the disappearance of her sister, an unsettling presence emerges in her childhood home. Alex Cross A homicide detective is pushed to the brink of his moral and physical limits as he tangles with a ferociously skilled hired killer who specializes in torture and pain. Hope Springs After thirty years of marriage, a middle-aged couple attends an intense, week-long counseling session to work on their relationship. Helter Skelter Top star Lilico undergoes multiple cosmetic surgeries to her entire body. As her surgeries show side effect, Lilico makes the lives of those around her miserable as she tries to deal with her career and her personal problems. 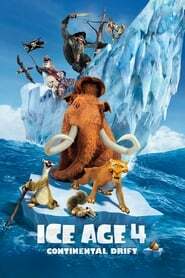 Ice Age: Continental Drift Manny, Diego, and Sid embark upon another adventure after their continent is set adrift. Using an iceberg as a ship, they encounter sea creatures and battle pirates as they explore a new world. 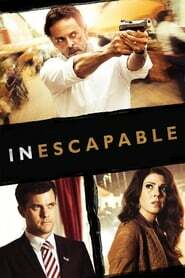 Helpless A woman suddenly disappears. Her fiance then sets out to find her and, in the process, uncovers layers of dark hidden secrets. Sightseers Chris wants to show girlfriend Tina his world, but events soon conspire against the couple and their dream caravan holiday takes a very wrong turn.